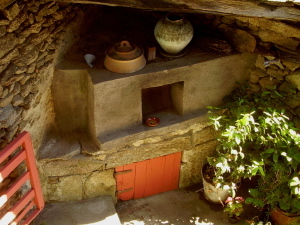 Casa dos Artesans is the two-bedroom holiday cottage available to rent (2 – 5 people) and is also where textilesnaturales host weaving and basketry courses and holidays. The cottage is simply furnished, with 2 double bedrooms, a fully-equipped kitchen, a wooden balcony, patio and small garden. 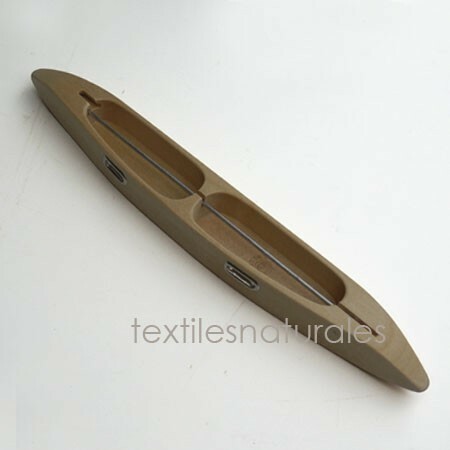 Reservations – Tel. +34 988 20 74 04 o T.+34 669 600 620. See Tariffs below. Sound good? If so, then why not come and stay for a week or two in Casa dos Artesans and do a craft course with us. 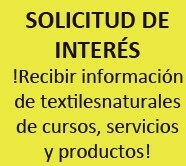 Shop display area with our own hand-made texiles and baskets as well as a selection of yarns and loom equipment for sale. Other cottage information: Central heating, fully equipped kitchen (microwave, toaster, iron, gas oven and hob, fridge), clothes washing service available. The local information folder written in English includes walking routes and suggestions for days out. 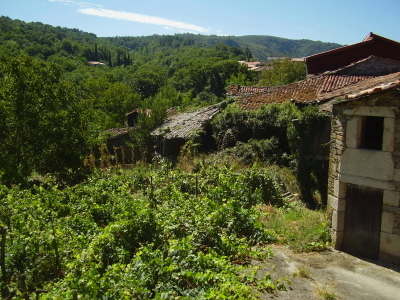 Traffic-free location (at the end of the village) ideal for families with children. The cottage is television-free. Cards, games and books provided. 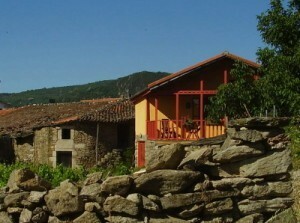 Casa dos Artesans is Spanish mact quality rated, member of Turisacra tourist organisation. No smoking. No pets. 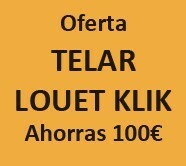 Cottage rental (2 people) (tarifa especial – ver nota) 160€ 75€ 525€ 899€ Please ask about winter rates for longer stays. 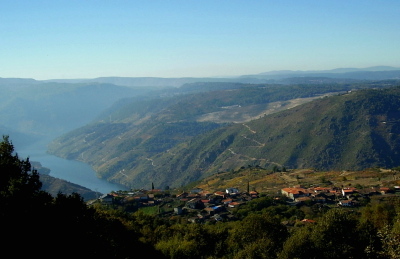 The holiday cottage is situated in an area of inland Galicia called “The Sacred Riverside” (Ribeira Sacra), a rural area of great natural beauty, about 2 hours drive from Santiago de Compostela. It is known for its wine, its scenery, its craft and its simple, traditional home cooking. 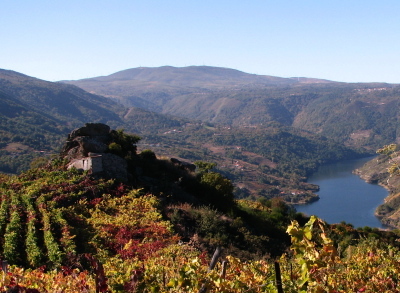 The region has its own Denominación de Origen wines from mencia and godello grapes and the wonderful scenery is centred on the River Sil Canyon, overlooked by Cristosende, the hamlet where Casa dos Artesans is located.